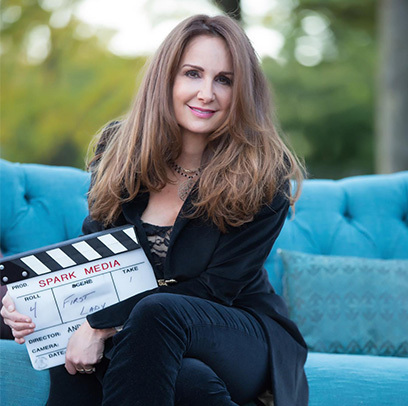 Andrea Kalin, founder of Spark Media, is a celebrated documentary filmmaker whose films have aired on major networks around the globe, screened theatrically to sold-out audiences, and earned more than 90 industry awards, including a Prime Time Emmy, and Golden Globe and WGA nominations. She has worked in over 25 countries, from disaster zones to remote tropical rain forests, crafting gripping human stories for the screen. Andrea specializes in bringing to viewers the emotional front line where lives of courage, perseverance and dignity battle brutal injustices and seemingly insurmountable hardships. Her films include the award-winning docs Partners of the Heart, The Pact, No Evidence of Disease, Red Lines, and First Lady of the Revolution.